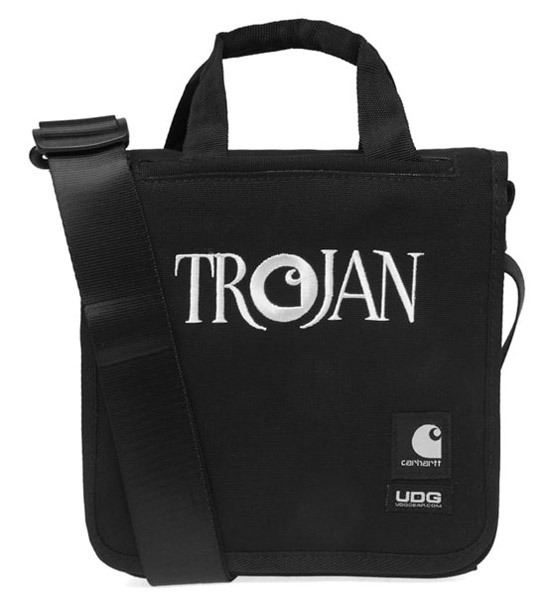 These Limited edition Trojan 7-inch record bags have just landed. 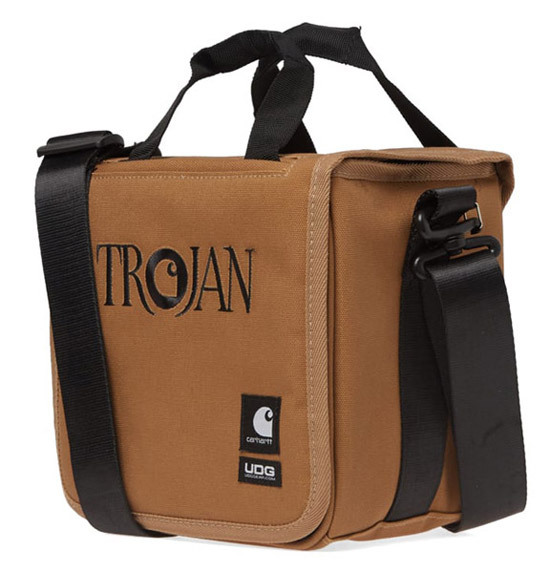 Ideal if you love a ska or reggae 45 and need to take a few with you. This is part of a limited edition range with Carhartt and is mainly made up of both long-sleeve and short-sleevet-shirts. If you happen to be a fan or collector of the label, you might want to check out all the range here. 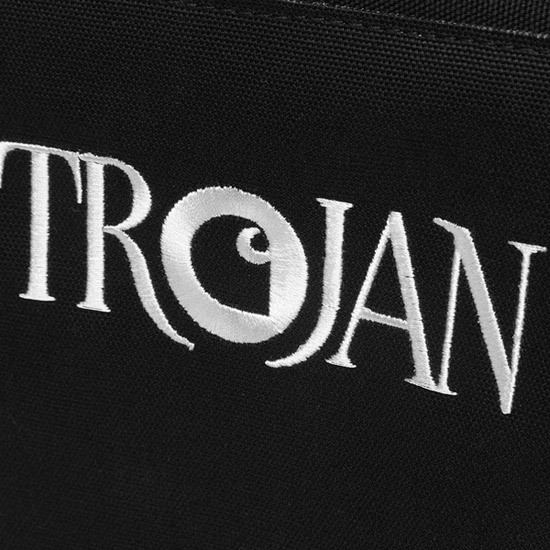 But Trojan t-shirts are qute common and if you hunt around I’m sure you’ll find a lot more and probably much cheaper than the ones in this range too The bags, however, are a completely different case. Like the t-shirts, they have been produced in limited numbers for the label’s 50th anniversary in both a brown and a black colour option. 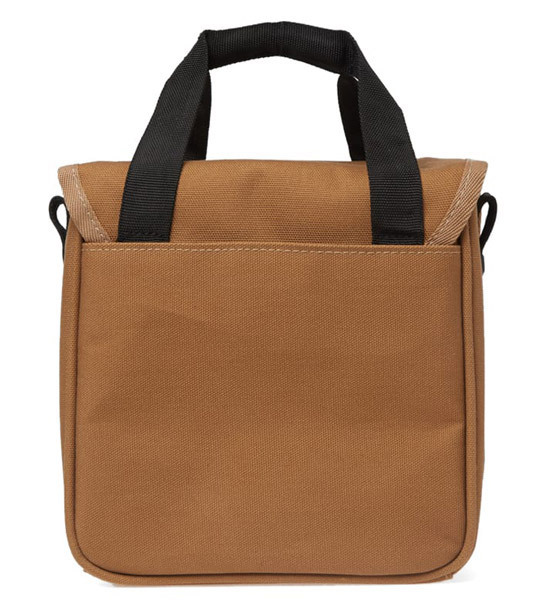 The bags are of cotton construction, with a main velcro compartment, embroidered branding, woven brand patches a carry handle and an adjustable shoulder strap. Not sure of the capacity, but they look quite chunky, so a good numger should fit into there. 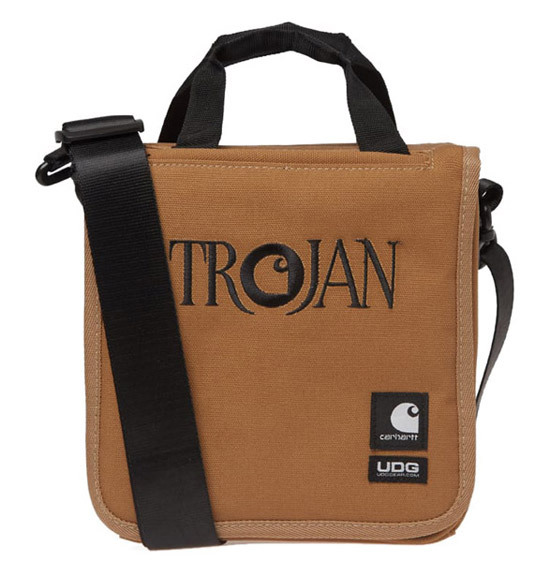 Might work for other uses too, but 7-inch vinyl is the main purpose. Not cheap though. 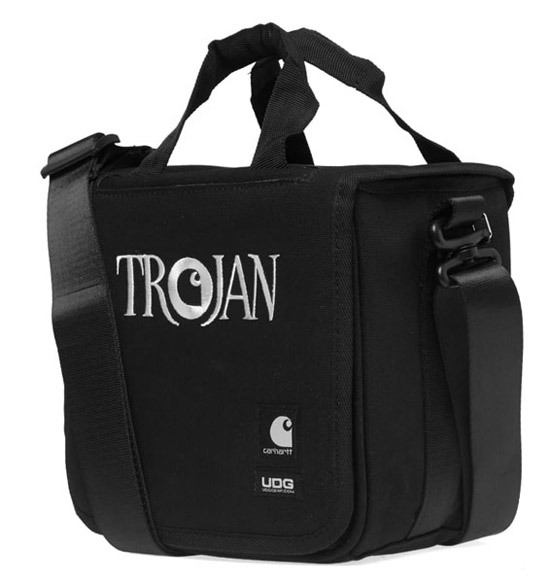 You are looking at £75 for one of these limited edition bags. Both colours are available now while stocks last.